Tomsk Polytechnic University will hold traditional Career Days during which undergraduate and graduate students can establish contacts with the representatives of Russian and international companies willing to offer jobs and internships. Career Days are intended both for current students, graduates and representatives of various departments. In addition to the large-scale job fair, participants of the event will communicate with successful TPU alumni at Career Compass, meet representatives of companies, ask questions, as well as attend different master classes and take tests. ‘We received applications from enterprises even upon closure of the official registration. 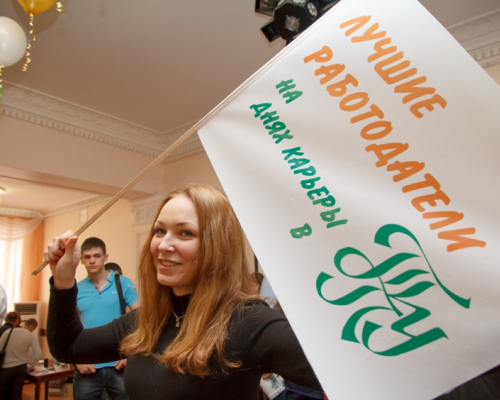 As a result, over 50 large companies will present their vacancies and internships for TPU students. told the expert of the Office for Job Placement and Internships Ivanna Anfinogenova. For the first time, Tomsk Polytechnic University will host representatives of one of the largest transnational companies dealing with the production of consumer goods Unilever (Moscow), OJSC Gazpromneft-MNPZ (Moscow), i.e. an oil refining company of Gazpromneft, which is one of the leading producers of high-octane gasoline, diesel and aviation fuels; LLC Novatek-Tarkosaleneftegaz (Tarko-Sale), i.e. a subsidiary of the Russia’s largest gas producer PJSC Novatek; JSC Special Design and Technology Bureau for Relay Engineering (Velikiy Novgorod) which is part of the State Corporation Rostec, i.e. one of the leading developers and manufacturers of electromagnetic relays in Russia and the CIS countries; PJSC Chelyabinsk Tube Rolling Plant (Chelyabinsk), which enters the top 10 of pipe companies of the world; LLC Sibelectroprivod (Novosibirsk), i.e. the largest manufacturer of traction electric cars of medium power in the Ural-Siberian region. A preliminary list (in Russian) of companies participating in the Career Days is available at the link. 12:00-16:00 – presentations of companies, Concert Hall, TPU International Culture Center (13C Usova St.). The presentation agenda is available here.